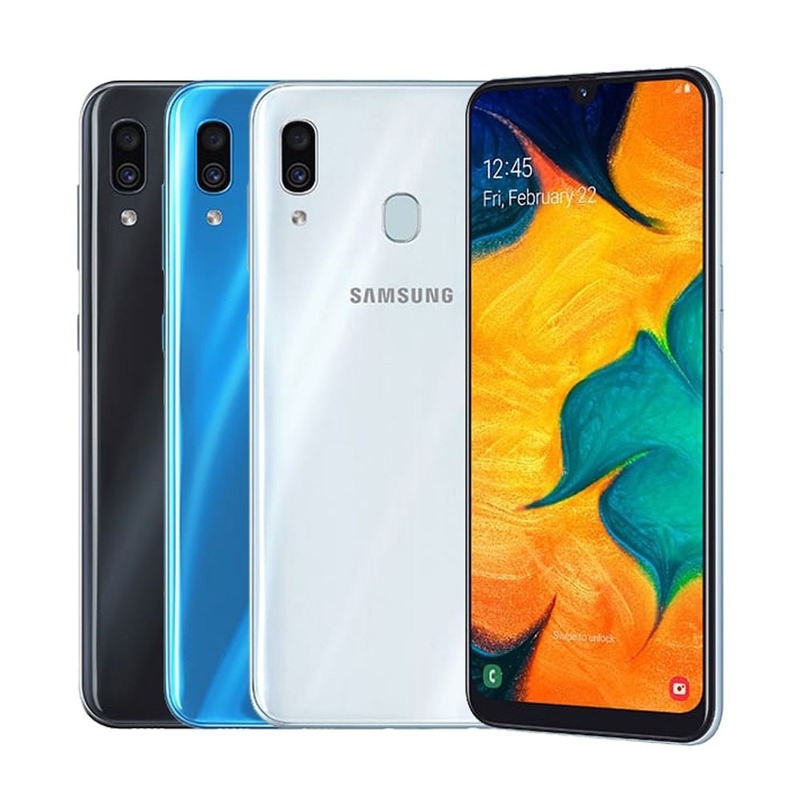 he Samsung Galaxy A30 mobile features a 6.4″ (16.26 cm) display with a screen resolution of 1080 x 2340 pixels and runs on Android v9.0 (Pie) operating system. The device is powered by Octa core (1.8 GHz, Dual core, Cortex A73 + 1.6 GHz, Hexa Core, Cortex A53) processor paired with 4 GB of RAM. As far as the battery is concerned it has 4000 mAh.